Front Brake Hose (LH). Comes With Hose To Caliper Bolt & Washers. Fits: 2003-2009 Crown Victoria, Grand Marquis, Town Car. Front Brake Hose (RH). Comes With Hose To Caliper Bolt & Washers. Fits: 2003-2009 Crown Victoria, Grand Marquis, Town Car. Rear Brake Hose (RH). Comes With Hose To Caliper Bolt & Washers. Fits: 2003-2009 Crown Victoria. 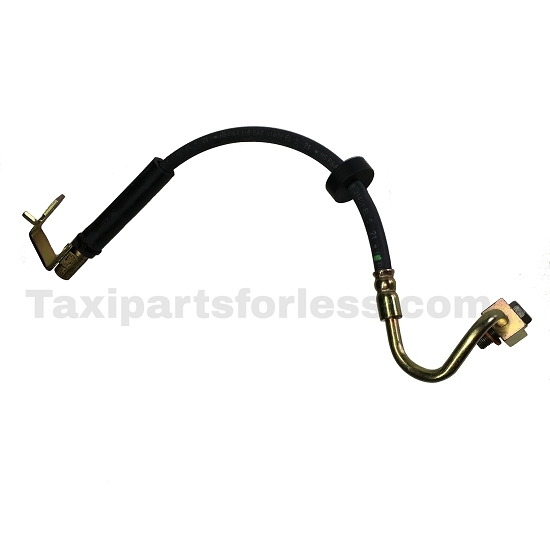 Rear Brake Hose (LH). Comes With Hose To Caliper Bolt & Washers. Fits: 2003-2009 Crown Victoria. Window Lift Motor. ( Front Right Side) Ford OEM Brand. Fits: 01-11 Crown Victoria, Grand Marquis & Town Car. Front Air Bag Sensor. Original Ford OEM Part. Fits: 95-97 Crown Victoria.